The brief we received from the Yacht Club in Geneva was very straightforward: to illuminate the trophy allowing the fine engraving to be read. The result is stunning. 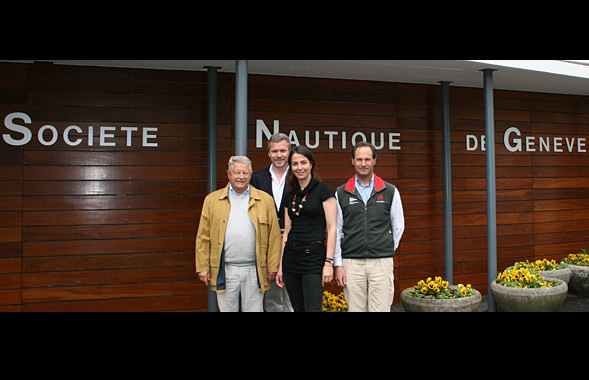 In 2003, the Swiss challenge Alinghi sponsored by Ernesto Bertarelli and representing the Société Nautique de Genève (SNG) beat all her rivals in the Louis Vuitton Cup. 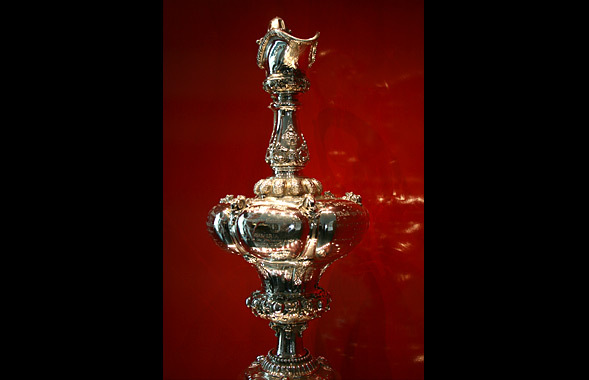 SNG staged its 2007 defense of the cup in Valencia, Spain, the first time since the original 1851 Isle of Wight race that the America’s Cup has been held in Europe, or in a country different from that of the defender. SNG successfully defended the America’s Cup with a margin of 5-2. The brief we received from the Yacht Club in Geneva was very straightforward: to illuminate the trophy allowing the fine engraving to be read. 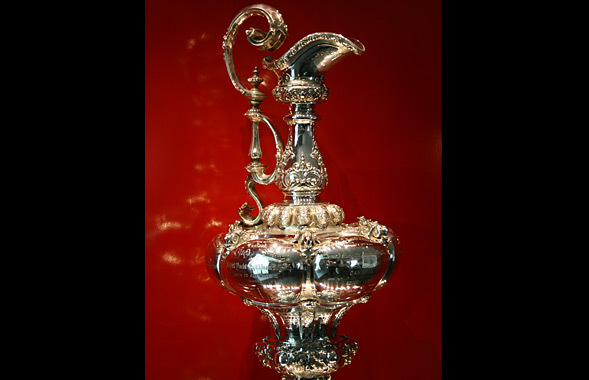 The Cup was held in an oblong glass cabinet with a highly reflective bright red metallic background surface; the lighting was quite dull. We replaced the entire lighting system and used 2 full spectrum fiber optic light engines with 20 focusing lenses to provide even lighting across the entire Cup. The result is stunning.